The blade tip is measured in microns and the precision tolerance is in fractions of a millimeter. Cutting by hand is precision work. This is what enables the pristine white edges to remain intact. 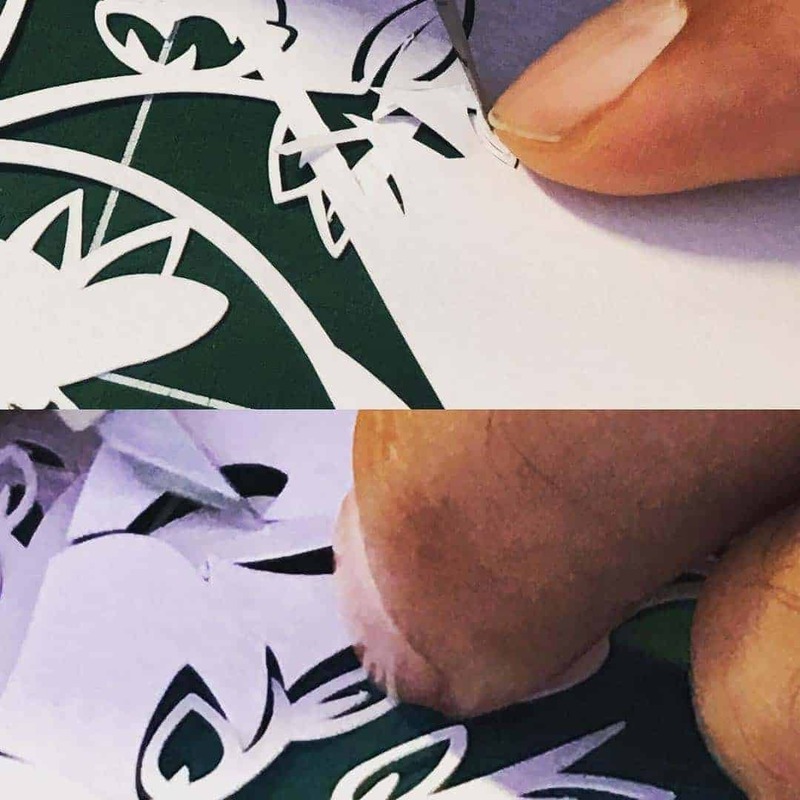 Instead of burning the paper away, it is surgically removed, resulting in a cleaner, more beautiful cut that retains the character of human touch.